Extra long. 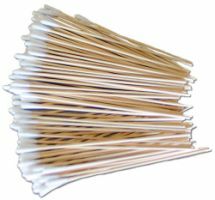 Package of 100 superbular swabs. Perfect for cornermen and cut men.